In the Asia Cup Qualifier 2018, a young Anshuman Rath-led Hong Kong side came to prove a point – to show the world what they are capable of. And they did. They came, they fought, and at last, they conquered. Following a disappointing ICC Cricket World Cup Qualifier 2018 campaign in Zimbabwe earlier this year, Hong Kong lost their one-day international status. Almost four months later, they returned and fought in earnest for a berth in the forthcoming Asia Cup 2018, starting on 15 September in the United Arab Emirates. Although their cricketing achievement graph has been and up and down one, Hong Kong have proven their ability to compete time and again. 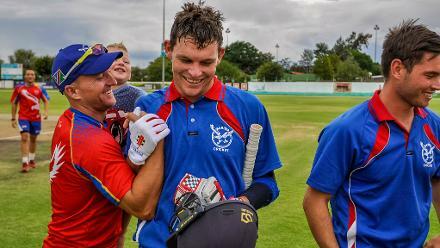 On Thursday, 6 September, Rath's team sealed a thrilling two-wicket win (DLS method) over the UAE in the rain-affected qualifier final – "It is a great feeling," a delighted Rath, 20, told the International Cricket Council. Hong Kong started their qualifying campaign with a loss to the tournament hosts, Malaysia. From there, they went on to win all the remaining matches, beating Singapore, UAE, Nepal and UAE once again in the final, with one game versus Oman washed out. "I think we wanted to show the world what we can do despite losing the ODI status," said Rath, who finished the tournament with 209 runs at an average of 41.82. "Beating both ODI nations (UAE and Nepal) quite comprehensively in this tournament, and beating one of them twice, just sort of explains how we play our cricket. And hopefully, to show the rest of the world that the standard of Associate cricket has improved over the last couple of years." 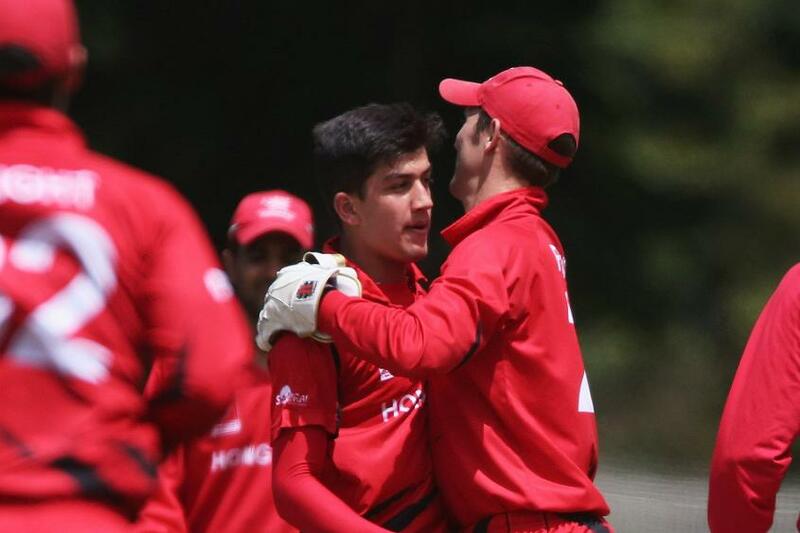 Aizaz Khan, the Hong Kong paceman who finished with brilliant figures of 5/28 in the final, revealed how two months' training before the qualifiers helped them made the cut for the main tournament, which features Afghanistan, Bangladesh, India, Pakistan and Sri Lanka: "Obviously, we had a really bad tournament in Zimbabwe at the World Cup qualifiers, we lost our one-day status and it was really bad. "After that, we worked really hard for this Asia Cup qualifiers. We worked really hard for two months back in Hong Kong. "Coming here, we wanted to qualify for the Asia Cup, and we know we had a better team than we had performed in Zimbabwe. I think the way the guys played in the qualifier was amazing. It was a great tournament for us. Feels really good." Rath said that not much had changed since the World Cup qualifiers, and that the contrasting fortunes in the two tournaments was more a reflection of the stiff competition in Associate cricket at the moment. "We haven't changed much with our squad. Just a few changes, we still have a young squad," he pointed out. "But it just goes to show how cut-throat Associate cricket can be. One bad game can essentially cost you (ODI) status. Yet, here we are, playing against India and Pakistan in a week's time." The last time Hong Kong won a major tournament was back in 2011, when they won the ICC World Cricket League Division Three at home after beating Papua New Guinea in the final. "I think the way the guys played in the Asia Cup Qualifier was amazing"
"So it really meant a lot to the fellows, especially after going through a bit of a down period and then we lost the ODI status," Rath said. "It was something that the boys needed just to reassure ourselves that we can perform at this level and we can do it. All the hard work that has gone in this tournament over the last couple of months really has paid off. And the boys have shown really good character especially after losing that first game to Malaysia in the qualifiers."